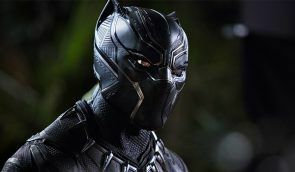 Black Panther (Review) 12 February, 2018- Black Panther is back... and his solo movie looks set to be a huge hit. Christian Bale stars in Hostiles – a grand old Western that has a lot to say. Three Billboards Outside Ebbing, Missouri is a brutal character study that gets to the heart of the American Midwest… but it’s also so much more. Ben Stiller stars in Brad’s Status – a forgettable comedy drama which needed so much more. Netflix’s Bright is a far better movie than it first seems… and it’s actually rather good. Jumanji: Welcome to the Jungle is a welcome return to the original game, with a brilliant retro-gaming twist. Will Luke Skywalker come out of hiding? Can The Resistance fend off the First Order once and for all? Here’s what we thought of Star Wars: The Last Jedi. Ghost in the Shell presents some high-concept sci-fi with slick, sharp visuals… but is it style over substance? Go Go Power Rangers! The classic Haim Saban series is back with a modern, big-budget reboot. But will the Power Rangers be up to scratch? Logan gives Hugh Jackman the perfect send off as Wolverine gets his claws out for the last time. Star Wars: Rogue One brings us back to the galaxy far, far away… and it’s the perfect original trilogy movie.